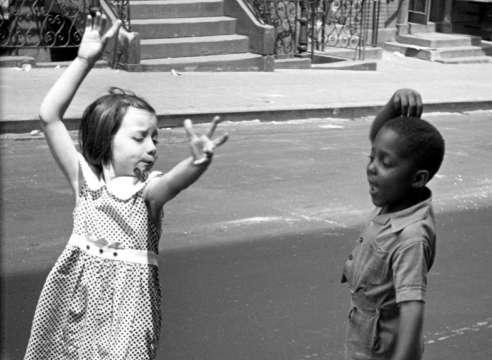 Helen Levitt's playful and poetic photographs, made over the course of sixty years on the streets of New York City, have delighted generations of photographers, students, collectors, curators, and lovers of art in general. 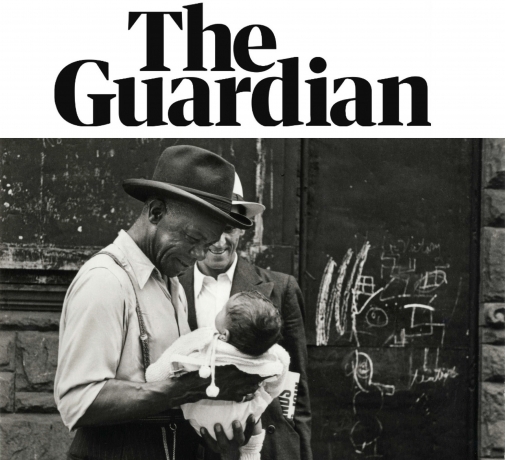 The New York Times described her as: "a major photographer of the 20th century who caught fleeting moments of surpassing lyricism, mystery and quiet drama on the streets of her native New York". 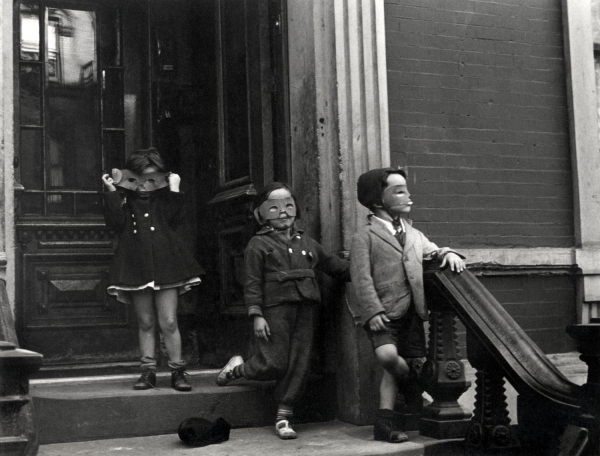 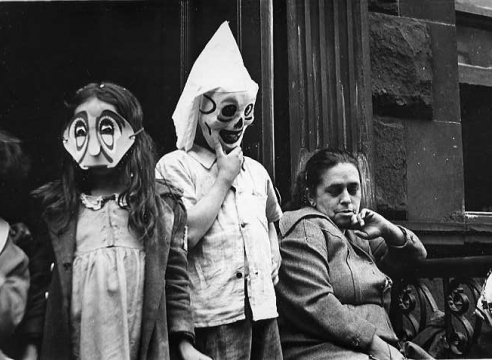 Throughout her long career, Helen Levitt’s photographs have consistently reflected her poetic vision, humor, and inventiveness as much as they have honestly portrayed her subjects—men, women, and children acting out a daily drama on the sidewalks and stoops of New York City's tenemants. 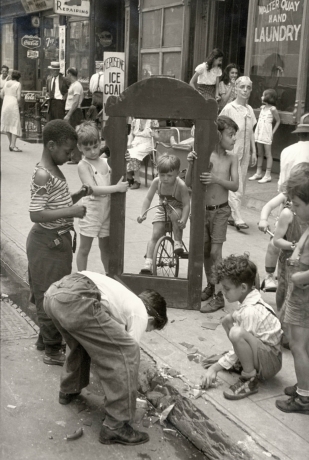 She shot and edited the film In the Street with Janice Loeb and James Agee, providing a moving portrait of her still photography. 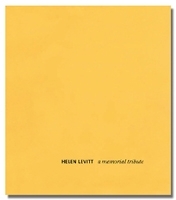 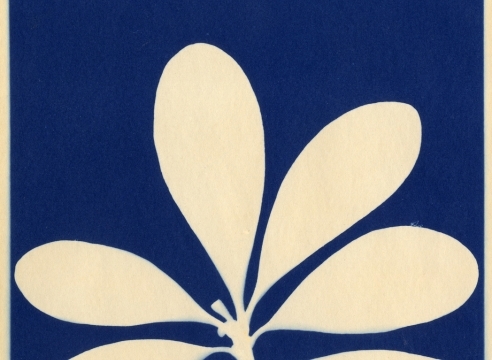 Levitt’s first major museum exhibition was at the Museum of Modern Art in 1943, and a second solo show, of color work only, was held there in 1974. 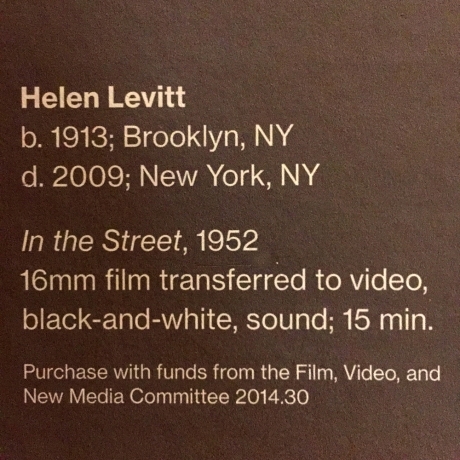 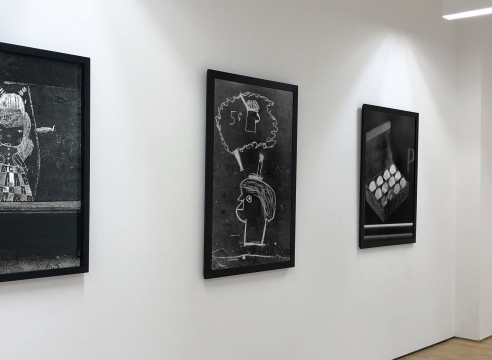 Major retrospectives of her work have been held at several museums: first in 1991, jointly at the San Francisco Museum of Modern Art and the Metropolitan Museum of Art in New York; in 1997 at the International Center for Photography in New York; and in 2001 at the Centre National la Photographie in Paris. 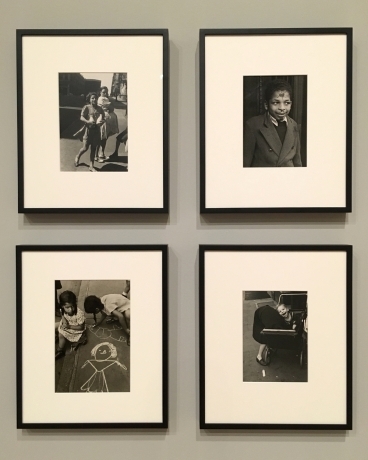 In 2007 "Helen Levitt: Un Art de l'accident poetique" opened at the Fondation Henri Cartier-Bresson in Paris; in 2008, the Sprengel Museum, Hannover, Germany chose Ms. Levitt as the recipient for the Spectrum International Photography Prize which was accompanied by a major retrospective; and FOAM Museum Amsterdam, mounted another major retrospective in October, 2008. 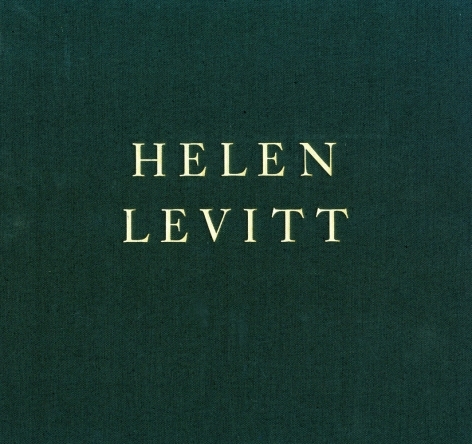 She was a 2008 recipient of the Francis Greenburger award for excellence in the arts.